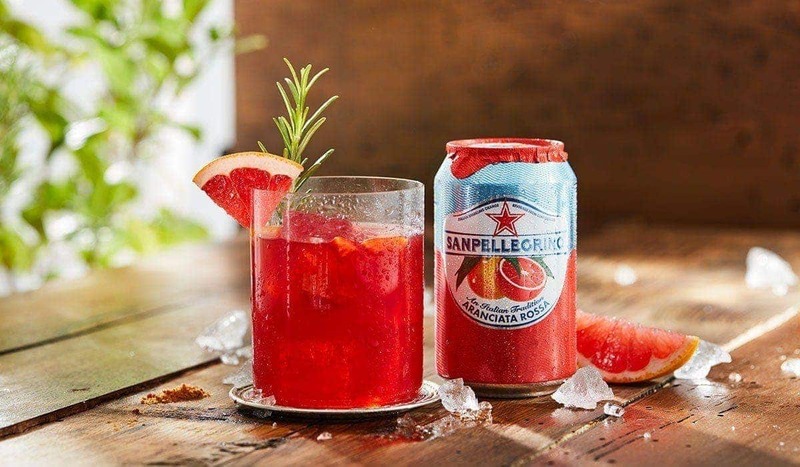 The full flavors of blood oranges from Sanpellegrino Aranciata Rossa are packed into a refreshing drink, that will have you longing for those seemingly endless summer nights. Whip up the Rossa Fizz cocktail, share it with your favorite company, and get into the summer mood. Sanpellegrino Aranciata Rossa’s unique flavor of quality hand-picked blood oranges is taken to the next level of refreshing with the Rossa Fizz non-alcoholic cocktail. The addition of fresh oranges bumps up the intensity of its flavors whilst an extra dose of effervescence in the soda water emphasizes the various delicate notes of the Aranciata Rossa. The easygoing Rossa Fizz is great alone but also alongside punchy dishes such as cous cous alla Trapanese or a bread roll filled with porchetta. In the bottom of a sturdy, large glass (14 oz capacity), gently muddle the orange with the sugar and let it combine well by adding a splash of soda. Add some ice cubes and top it up with Sanpellegrino Aranciata Rossa. Decorate with another orange segment and a twig of rosemary. If you are 21 years old or over you can turn the Rossa Fizz into an alcoholic drink by adding 1 oz of gentian liqueur or aperitif.